Making a sequel to a surprise hit is tricky business. Really, what needs to be said about the weight of expectations (from the studio, the filmmakers, the critics, and the audience) and how the movie has to meet them that we don’t already know? What could help is bringing back the same team who worked on said hit; after all, they should know how to make the sequel a hit as well while building upon what is already laid out. This is more or less the case with the sequel to Kingsman: The Secret Service, as writer-director Matthew Vaughn, his writing partner Jane Goldman, most of the production crew, and a good chunk of the cast all return. Unfortunately, the result is nowhere near as encouraging as its prospects; Kingsman: The Golden Circle is an aimless, overstuffed, lumbering mess that manages to be something that this burgeoning franchise should never be: boring. This entry was posted in Movies and tagged Channing Tatum, Colin Firth, Halle Berry, Jeff Bridges, Julianne Moore, Kingsman: The Golden Circle, Mark Strong, Matthew Vaughn, Pedro Pascal, Taron Egerton on September 29, 2017 by Jun I.
Steven Soderbergh is back, and it feels so good. After flirting with the possibility of retirement since 2011, the filmmaker – known for his eclectic filmography – took a sabbatical from directing feature films in 2013 after completing Behind the Candelabra. That isn’t to say he hasn’t been busy since; aside from serving as an executive producer and cinematographer (credited as Peter Andrews, his longtime pseudonym) on a few films and TV shows, he directed the entire two seasons of The Knick, Cinemax’s acclaimed TV series. 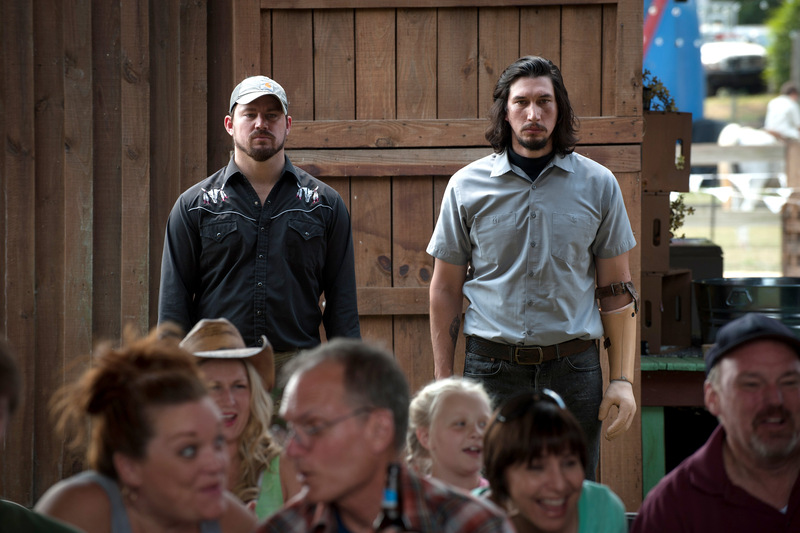 At long last, he brings his sabbatical to an end with Logan Lucky, a gleeful, rip-roaring, and surprisingly poignant flick. This entry was posted in Movies and tagged Adam Driver, Brian Gleeson, Channing Tatum, Daniel Craig, Farrah Mackenzie, Jack Quaid, Katie Holmes, Logan Lucky, Riley Keough, Steven Soderbergh on August 26, 2017 by Jun I.